I can tell you that Victory has begun the process of making a sour beer. But we will not release just any sour beer. We are doing small-scale experimentation so that when we do have a sour beer for you, it will be a beautifully balanced, refreshing Flemish-style sour beer. Unfortunately, we are years away from a final product, because once we figure out how to do it, a commercial size batch will be produced and could take more than three years to be ready to blend with younger sour beer. 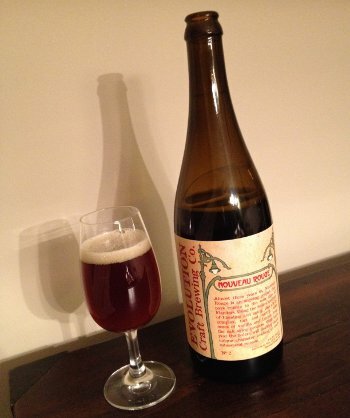 Beer Nerd Details: 5.5% ABV bottled (750 ml caged and corked). Drank out of a charente glass on 1/21/17. Bottled on 18 Nov 2016. Released on 15 Dec 2016. 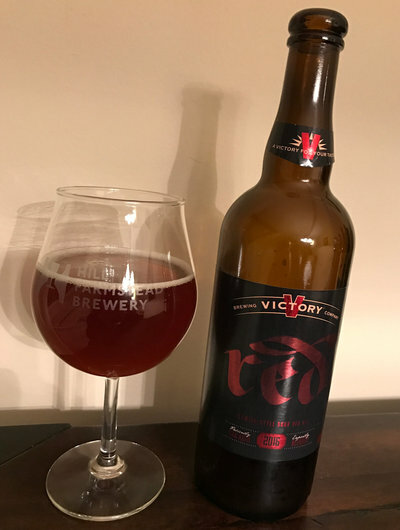 Always nice to see Victory continuing to expand their horizons, and I look forward to seeing what they do next with this sort of thing. If you're local, you may still be able to snag a bottle of this (even though it was released in late December), well worth the effort. Pop culture is awash with fan attempts to keep their favorite media alive. From Trekkies keeping their beloved three seasons in syndication for years and finally convincing Paramount to bring the crew back on the big screen to more modern (and sometimes failed) attempts to save Chuck or Firefly, fans tend to live up to the linguistic origin of that term: fanatics. Depending on your point of view, these campaigns can range from inspirational and noble to whiny and entitled (and everywhere inbetween). However you judge such advocacy, you can't deny that it is sometimes effective. And sometimes it happens in the beer world. Beer Nerd Details: 5.6% ABV bottled (750 ml caged and corked). Drank out of a flute glass on 5/28/16. Best before: 01-02-2019. Rodenbach delivers, as always. 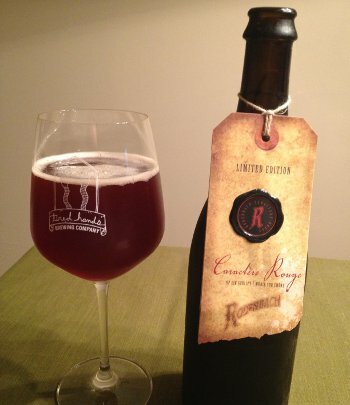 I might have to track down another bottle of Caractère Rouge, you know, for reasearch, to see how it compares. Everyone loses their mind when a brewery sells out, but the business of brewing is one of those topics I just can't seem to get too worked up about. That being said, I can get on board with the anxiety of a sell out if it's one of your favorite breweries. There's a natural worry that your favorite beer will be reformulated or go away completely because the new regime is unenlightened or something. So when I heard news of David Logsdon's sell out of Logsdon Farmhouse Ales along with a simultaneous announcement that Brett Porter was leaving (one of the best brewer names ever, right up their with Wayne Wambles) I was a little worried. Seizoen Bretta is one of my favorite beers and a go-to way to blow less-beer-focused minds, Oak Aged Bretta is spectacular, and Peche 'n Brett is delicious. I don't want to lose these brews! Beer Nerd Details: 6.5% ABV bottled (750 ml waxed). 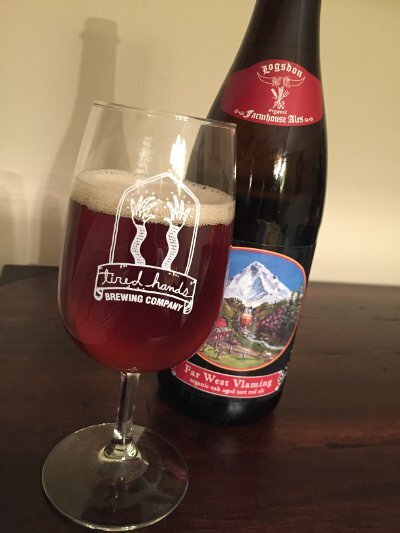 Drank out of a flute glass on 10/16/15. I usually try to have some Logsdon bottles around the house in case I get an opportunity to share, and it usually goes over like gangbusters. Well worth seeking out. Monomoy Island is located near Cisco Brewing's home base of Nantucket, and while it once sported an active community, it has long been dormant. It no longer has any human residents, no electricity, and no paved roads. The only reminder that the island was once populated is the decommissioned old lighthouse. And this beer, named it it's honor. I don't know if these islanders were famous for their cherries, but I bet they liked cherries a whole lot. I mean, who doesn't? 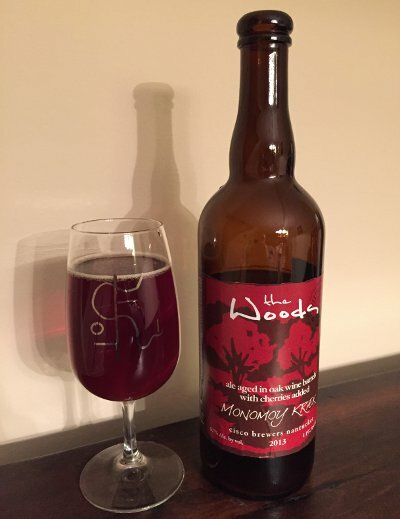 We all know that I've got a little woody over Cisco's The Woods series of sour beers. They're seriously some fantastic stuff, well worth seeking out (despite their wallet lightening abilities), and this beer, a 2 year old Flanders red aged in wine barrels that got a nice, 10 month long dose of cherries, is no exception. Beer Nerd Details: 6.7% ABV bottled (750 ml caged and corked). Drank out of a flute glass on 11/21/14. 2013 Vintage. Another winner from The Woods, making me wish that I could even try that Cranberry sour I recently saw on the shelves. I may need to check that out sometime, if I see it again. Maryland's Evolution Craft Brewing Co. joins the ranks of the few, the proud, the patient: practitioners of the Solera method in the beer world. The base beer is a rather straightforward American Amber Ale called Prelude Red, but it's placed in barrels (along with some bacterial beasties), soured, and blended with younger batches in the style of a Flanders Red. Evolution has added their Solera'd wrinkle, blending each new batch with all previous batches (and only bottling a small portion of the result, thus leaving enough liquid for future blending). Each cycle increases the average age of the bottled liquid, adding maturity and depth while retaining a certain level of freshness. Some Sherry producers have been known to do this for over 50 years, with each release theoretically containing traces of each and every batch. Evolution is only in their third year, so while this still feels very much like a standard Flanders Red, I'm really curious to see what it's like in a few years (and onward). Beer Nerd Details: 6.3% ABV bottled (750 ml capped). Drank out of a copita glass on 2/15/14. Evolution continues to be a solid semi-local contributer that I need to explore more thoroughly. I expect to snag some of their Migration series soon enough, so keep an eye out. And, of course, Lot 3 and Lot 6 are nice IPAs that are in the rotation somewhere (come to think of it, I haven't had one of either in a while). Beer Nerd Details: 6.75% ABV bottled (750 ml capped). 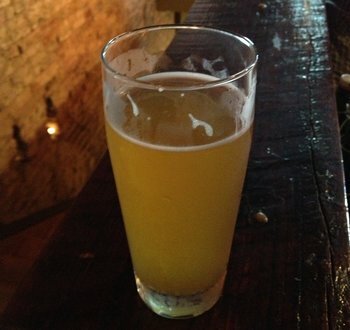 Drank out of a Tired Hands glass on 6/8/13. Bottled November 2011. Today was Tired Hands' one year anniversary, and they had a big shindig featuring lots of fantastic beers. As per usual, their events are a bit of a madhouse, but they did a good job keeping up with the demand, and it helps that the new and special beers they were serving were nothing short of spectacular. Big congratulations to Tired Hands for living up to lofty expectations and establishing themselves as the best brewer in the area. I had quite a few things today, and for shits and giggles, I'll include stuff I've had from the past few months as well, because why not? Yeah, I suppose the fact that most of them are already gone forever is a pretty good reason not to dwell on them, but how else am I to make my readers jealous? Phew. That's a lot of beer (spread out over the past few months, I assure you!). I feel very lucky to have Tired Hands out here in my backyard (ok, a half hour away, but still). Really looking forward to the Only Void bottle release (coming soonish, I think), especially those bottle conditioned variants. 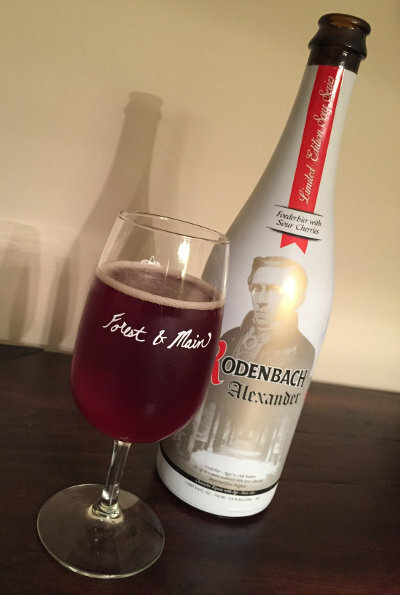 Rodenbach Grand Cru has very quickly established itself as a go-to Flanders Red (especially when I want to introduce someone to the rough and tumble, gum-rubbing world of sour beers). 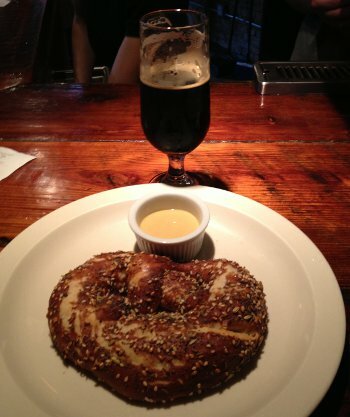 Widely available, affordable, and absolutely delicious. It's hard to believe that my first was less than a year ago, but here we are today, taking on next-level Rodenbach world beaters like Caractère Rouge. Life is good. Beer Nerd Details: 7% ABV bottled (750 ml caged and corked). 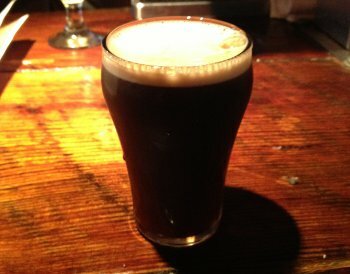 Drank out of a Tired Hands glass on 5/24/13. The bottle had no markings on it at all (totally badass), but it does have that little label thingy attached by string. No real batch identification, but I'm guessing this was the 2012 batch. No other Rodenwales are incoming at this time, but I'm obviously going to be keeping an eye out for any new releases from these fellas. In the meantime, I'll have to settle for some Loonz, Ghosts, and the like. I'll be ok. For now. 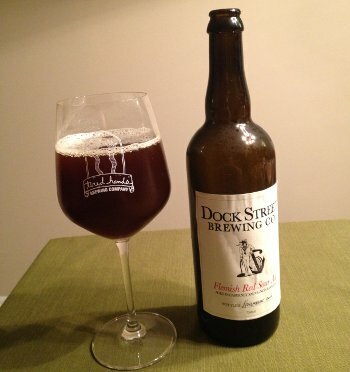 This page is an archive of recent entries in the Flanders Red Ale category. 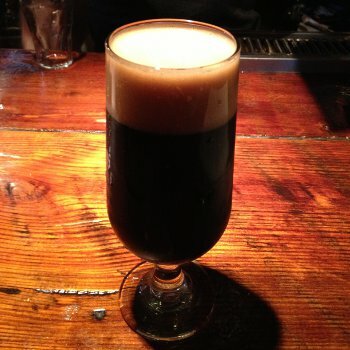 Flanders Oud Bruin is the previous category. Fruit / Vegetable Beer is the next category.